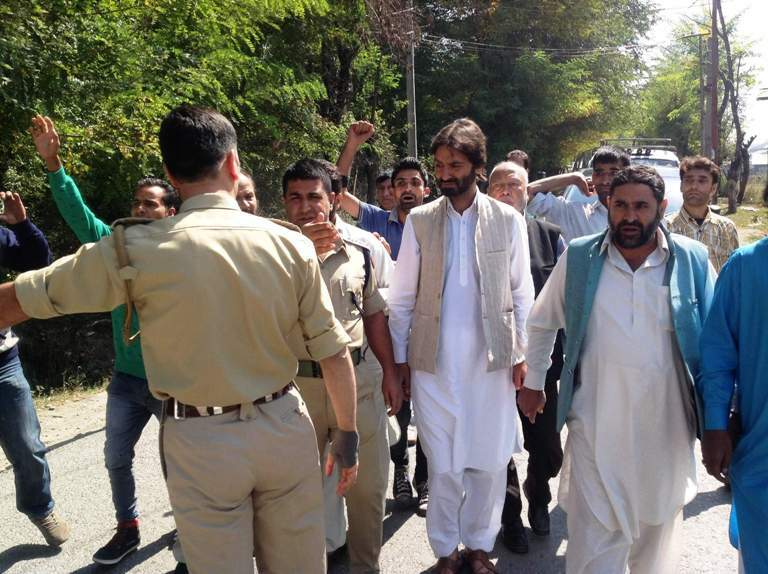 Yasin Malik and others being arrested at Zakoora. Chairman JKLF Muhammad Yasin Malik and many others were arrested at Zakoora in city outskirts on Friday. Malik was scheduled to address a public meeting at Kangan this afternoon. JKLF leaders including Showkat Ahmad Bakhshi, Bashir Ahmad Kashmiri, Muhammad Amin Mugloo and many others were also arrested along with Malik.